North Korea 'Begging for War', 'Enough is Enough', is a US Nuclear Strike Imminent? 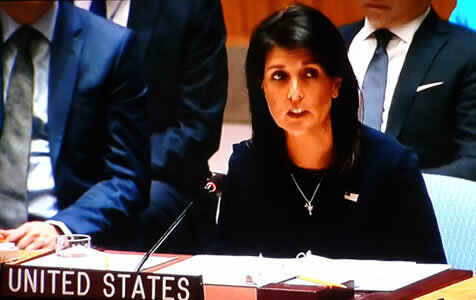 The normally dovish US Ambassador to the UN, Nikki Haley was busy banging the war drums at the UN today, effectively warning of a US pre-emptive first strike unless North Korea virtually immediately ceases its missile and nuclear tests. "Enough is enough, we have taken an incremental approach, and despite the best of intentions, it has not worked." "War is never something the Unites States wants - we don't want it now, but our country's patience is not unlimited. We will defend our allies and our territory." Whilst Yesterday, US Defence Secretary James Mattis stated that the US was considering military options towards eliminating the North Korean nuclear threat. Including warning of a 'massive military response' if North Korea attacks any US interests, and that Trump was being briefed on each of the "many military options" for dealing with the North Korean nuclear threat. "Our commitment among the allies are ironclad. Any threat to the United States or its territories, including Guam, or our allies will be met with a massive military response, a response both effective and overwhelming." And earlier President Trump had warned of halting trade with any nation that does business with North Korea, which is primarily aimed at the $500 billion of goods imported annually from China. Ultimately the US objective is for North Korea to be taken over by South Korea, whilst for China the primary objective is to the US to withdraw from Asia. So the trend towards war with China remains in motion as I warned of in my in-depth analysis in the Trump Reset series that concluded BEFORE Donald Trump took office of why the US was inevitably trending towards War with China and therefore to understand why events such as a bellicose North Korea are happening one needs to look through prism of the world’s TWO global military and economic super powers. The United States as the defacto global super power, and the emerging Chinese super power that ultimately seeks to displace the United States with its own military and economic global empire. 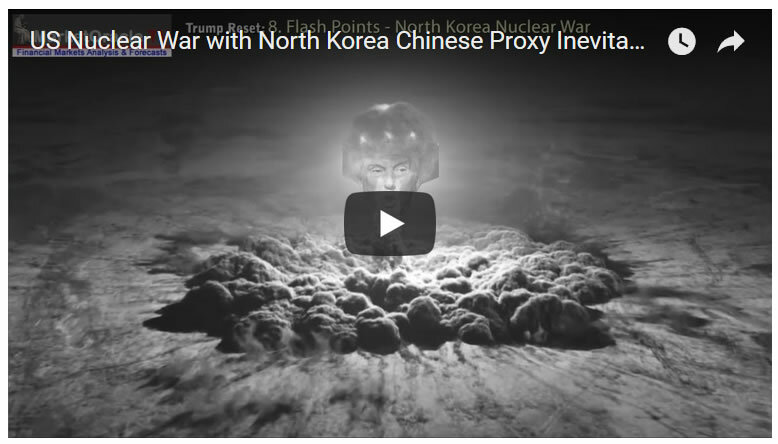 So that there is no confusion, a war that will likely involve the use of nuclear weapons is INEVITABLE as I iterated in my latest video analysis that concerned the role that the North Korean proxy was playing as China attempts to punch a hole through the ring of US military bases encircling China and its inevitable nuclear war consequences. https://youtu.be/a-bS0oWewgw (Note the video is unavailable on some devices such as mobile phones). In respect of which the US looks set to use at least a dozen tactical nuclear weapons on North Korea to neutralise their missile and nuclear infrastructure. Ensure you are subscribed to my always free newsletter and youtube channel Ensure for my forthcoming vides in the War with China series.